Like most dogs, Pierre, a French bulldog, loves the excitement of digging things up. He hoards his treasures in a hole in the backyard and then makes space for more. One day Pierre tosses some old stuff into the trash can, but he forgets to recycle. Now, instead of being transformed into new things, that plastic bottle and newspaper will sit in a landfill forever! Well, not if Pierre has anything to do with it. He chases the garbage truck through town, but will he catch it in time, or will those treasures be trash forever? 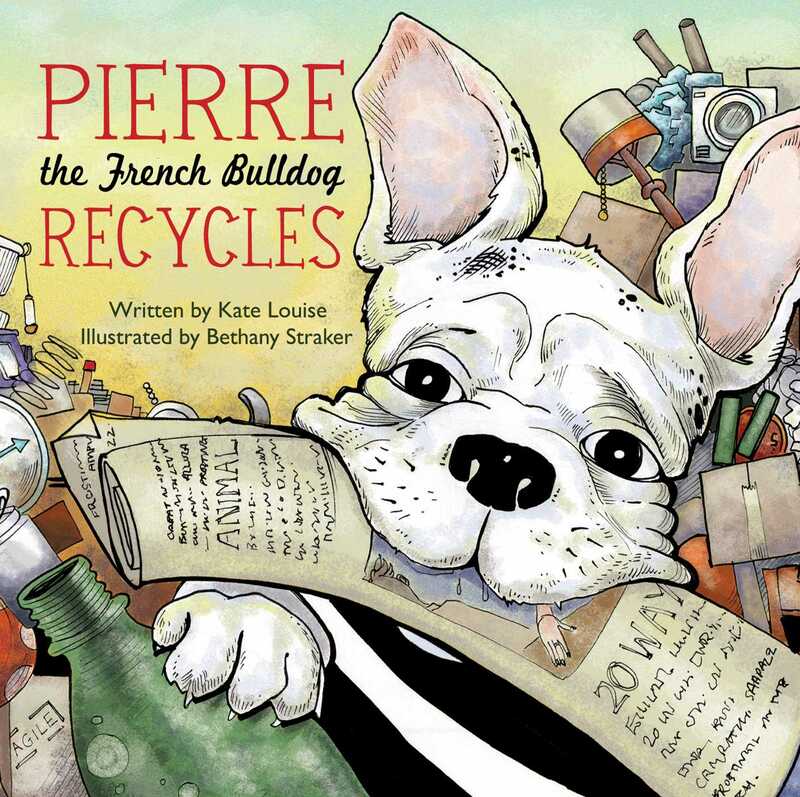 From author Kate Louise comes Pierre the French Bulldog Recyclesa quirky and fun lesson about the importance of recycling. Bethany Straker’s expressive illustrations make this adorable pup come to life on every page and are sure to get kids thinking about the importance of saving the environment one small piece of trash at a time.